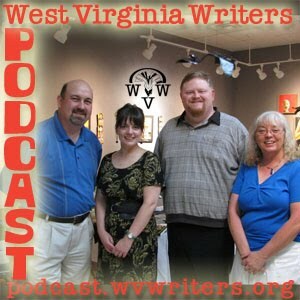 This week we're podcasting a recorded live reading of the Publisher's Panel we produced at Taylor Books in Charleston as the first of three events West Virginia Writers is participating in for Charleston's FestivAll 2010. The panel is moderated by incoming WVW president Cat Pleska and features Abby Freeland of WVU Press, Brian Hatcher & Michael Knost of Woodland Press, and Cathy Teets with Headline Books. The panelists discuss the modern state of publishing from big house publishers to smaller in-state outfits as well as academic publishing. Our thanks go out to Taylor Books for inviting us to put this panel together. It's a great store, located on Capitol Street in downtown Charleston. We've split the recording up into two parts for faster downloading.